Amid a mixture of news pulling oil prices in opposite directions the Energy Information Administration reported another draw in U.S. crude oil inventories for the week to December 22. 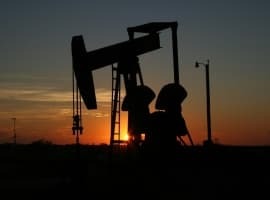 The EIA said inventories had gone down by 4.6 million barrels, a day after the American Petroleum Institute estimated these had declined by 6 million barrels, sending WTI higher. At 431.9 million barrels, the EIA said, inventories were in the middle of the average range for this time of year. Gasoline inventories rose by 600,000 barrels last week, after a 1.2-million-barrel jump a week earlier, with production averaging 10.2 million barrels daily, up from 10.1 million barrels daily in the week to December 15. The last week of the year was unusually rich in price-moving news. On Tuesday, Ineos said in an update that the Forties pipeline had been restarted, although at half-capacity. 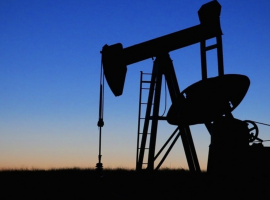 Then, a day later, IHS Markit said that the Permian Basin will this year have produced 815 million barrels of crude this year, beating its previous record of 790 million barrels, achieved back in 1973. The blast pushed WTI briefly above US$60 a barrel and the benchmark remained near this mark even after the Ineos update that is anyway more relevant to Brent crude than WTI. However, price movements were sluggish after API’s report yesterday, suggesting that traders are not that focused on the weekly reports at the moment as more reports concerning the state of oil supply and demand come in. The latest was the release of Chinese oil import quotas for next year, which will stand at 121.32 million tons, or 2.43 million bpd. Although this is lower than the initial quota allocation announced in November, overall Chinese oil imports are expected to hit another record next year thanks to more refining capacity coming online.